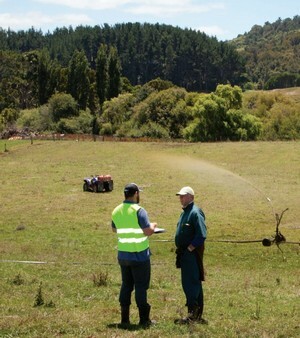 As part of the WOF scheme, DairyNZ has funded the development of this training course to provide potential WOF Assessors with the background skills and knowledge required to become an Assessor. The course includes a highly practical on farm practical session where each person participates in undertaking a WOF. If you have no previous knowledge of effluent systems and how they are designed or installed then attendance at the Massey FDE System Design and Management would be a better course and then gain some practical experience before going on to become a WOF Assessor. Get the skills and knowledge to become a Certified Dairy Effuent Assessor. Includes on-farm undertaking a WOF. Become an assessor in 5 easy steps. An independent person whose sole focus is to deliver a concise, unbiased view. The WOF assesses storage volume after accounting for soil risk, application area and irrigation equipment. 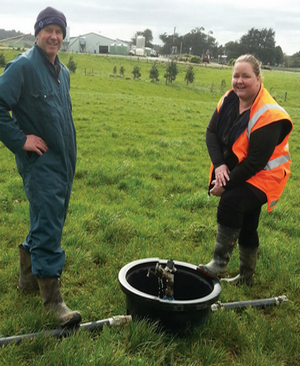 Certified WoF assessors offer a very thorough and consistent assessment of effluent systems. A certified assessor is an independent, experienced industry professional. To become certified, the assessor has completed a three-day training course and passed a competency assessment process. The assessor is committed to observing a Code of Conduct to guarantee professional behaviour and independent advice. Certified WOF Assessors use the same methodology every time. 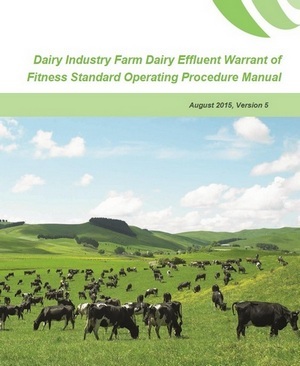 QCONZ administer the Dairy Effluent WoF System and Certification programme. QCONZ (Quality Consultants Of New Zealand Ltd) is a leading provider of quality management systems for the primary sector. QCONZ operates in the Dairy, Food, Fertiliser and Beef Industries. Services are delivered across an extensive industry network that includes DairyNZ, Fonterra Co-operative Group, the Dairy Goat Co-op, Dexcel, the Dairy Research Institute, MAF, Federated Farmers and Massey University. We have links to all Regional Councils and are active participants in the Environment Waikato sponsored Dairy Liaison Committee. Copyright © 2016 QUALITY CONSULTANTS OF NEW ZEALAND. All rights reserved.